• We remain firmly behind Climb Britain and believe it is the right choice for the future of the organisation; the BMC has to keep moving on and stay relevant to new people as times change. • We accept the need for wider debate so we’re proposing a period of active engagement in which we will get people together to discuss the issues; this will be done via the next set of Area meetings together with some specific gatherings of groups such as clubs and the GB Climbing Team if there is interest or demand. I will personally attend as many of these as I can, alongside the President and/or other senior BMC officials as and when they’re available. • Climb Britain and the rebranding issue will then go back to the next National Council meeting (17 September) for further discussion and a decision on the way forward. • In the meantime, we will keep the Climb Britain logo out there and will monitor feedback from members so that by September we should have a much better feel for how it's all working. With thanks to everyone who has contributed on this so far, this is important and we are most definitely listening. Following a strong reaction to our rebranding announcement in July, and after a period of consultation with members, the BMC has now made the decision not to rebrand as Climb Britain. A message from BMC president Rehan Siddiqui, outlining the rebranding consultation process which will be conducted over the coming months. b) Landowners meeting a representative of 'Climb Britain” will be feeling far more argumentative than one who is meeting the British Mountaineering Council. We need the landowners and the volunteers who work with them. c) Focusing on ‘what we do’ in ‘Climb Britain’ is confusing to entities that are not ‘climbing clubs’, particularly the University Sports Unions & Hillwalkers. d) The BMC fees are a sizeable element of club subscriptions, a confused brand does not help when justifying the fees. How do propose to engage the wider membership?. Very few people go to local area meetings as a percentage of the membership. I think, after the errors of the original launch, that you need to slow down, and engage the whole membership properly. First of all, thank you for being willing to accept a need for engagement (I'm slightly surprised that you didn't expect this level of response). I would however suggest that you should consider allowing more time to get that decent feedback and table it for discussion at next years AGM - pushing the decision back to September (6 weeks from now) is sadly not likely to be enough. If you want to push for a September decision, then the dates for area meets need to be known now, so that those of us with busy schedules can accommodate them (2 areas don't have dates set). More over, the locations need to be reasonably accessible to all locals (e.g. SW area tabling the meeting in Bristol or Cornwall will make it difficult for many to make it). - What demographic was surveyed in reaching this conclusion (i.e. region, age, etc)? I feel you have completely misjudged your membership both in choice of logo and re-branded name, and also in the way you have gone about this process. I was a proud member of the British Mountaineering Council, but I will not be a member of Climb Britain, as I will cancel my membership. Outdoors types like history, legacy and tradition. Young outdoors people aren't to be won over with a new logo or hip new name and I'm sorry the BMC didn't approach this in a more open and honest way involving their members. I hear the MCofS is nice though. Don't wait too long then. Climb Britain could be out of fashion as novelty naming trends move on, by the next AGM. Thankyou. That's reassuring. Do I need to renew membership to keep my annual BMC insurance effective , as it runs on for about 7 months after renewal is due ? First of all I want to say thank you to all of you at the BMC who go to phenomenal and hugely appreciated efforts on our behalf. I'm sure you will have felt much of this frustration very keenly in recent days. So please keep on doing the great things you do. But I'm also sorry to say I am firmly against the re-brand of Climb Britain. I can't see how it's a step forward as it does nothing to be more inclusive through its design. Equally, it does little to enhance the BMC as a professional organisation or one that reflects me. Sadly the handling of the re-brand has simply alienated a large majority of the membership. I was a little stunned by it all - not because of change but because of the nature of the change. I'm a very forward-thinking person (and am a designer) so am not against re-brands per se. But it has to be justified, done well, achieve its purpose and in the case of a membership, be done with the genuine support of the members. As the excellent response from Jon Booth suggests, 'Climb Britain' should be a strategy or event - and not a re-brand. I sincerely hope we can all learn, increase member engagement generally and move forward effectively with this and not simply find that many of us have moved our membership to Mountaineering Scotland. I would hate you to have to re-brand back at a great cost in years to come. Hopefully the BMC and its members can turn this around so this all works for good. But again, let me say that we do appreciate the excellent work you do for us. The anodyne nature of climb Britain reflects the present view within society about the rebranding of institutions. It does not reflect the history or gravitas that the British Mountaineering Council conveys. Rather than looking at a change of name, it would make more sense to spend time on bringing the core values of the BMC into focus. What about walking, mountaineering, mountain sports. Not a single mention. You are not listening at all, how can you be, if you are unable to recognise that a large section of the membership does not even warrant a mention in your latest attempt to plough on regardless. It's a lovely name really and the motif, if a bit Cloggy. It's not for the whole organisation though. Keep it as a Brand for those who can relate to it but expand the range, with like walk Britain, ski Britain, tour Britain, camp Britain, abseil only Britain... etc. The points raised by sunnymountaintops, John Booth and others are important, and will inform discussion, opinions and ultimately any votes. To those who say that they don't attend area meetings, well, now is your chance. Although I've been actively involved in two areas in the past, I haven't been to an area meeting for many years. I generally trust those that do attend and represent us to act responsibly, but on this occasion I don't think that this has worked. So, having criticised the BMC for not running this through the areas, and the BMC having responded by saying "okay, we'll have a discussion at the areas", it is down to all of us who have called for a discussion to go and make that a meaningful one. I'll have to travel well over an hour to any of my three nearest meetings, but I'll get off my backside and do it because it is essential. Social media is important and has served a vital purpose here of turning an unpopular decision back to a proposal, and now we need to use the BMC's long standing and extremely effective representative structure to determine the way forward. Our reps on the National Council are only as effective as we make them, so let's go and make sure that they represent us. As someone once said "history is made by those who turn up". It's too late for some sham consultation now. You'll not get away with a foregone conclusion. There needs to be real jeopardy for the outcome. In response to Keith Sutton. I half agree - if there is a proposal, then many of us do want a vote. What I don't agree with is that we don't want discussion. What most people have been saying is that we _do_ want discussion, and after we've had that discussion, raised many ideas, and developed the best of them, then it is the time to vote. By having discussion, we can perhaps have a vote on some considered and developed ideas that the membership have had an input to. Democracy is government by all the people, direct or representative. A vote without discussion is just a protest. Climb Britain is bad enough, Climb Cymru is utter nonsense. Personally, I like "The BMC" and "Climb Britain" sounds like an advertising slogan. I obviously wasn't paying attention but I've been a member for about 20 years and I don't recall being asked if I wanted the name changing. Was there any consultation? Who's idea was this? What thrusting new future are we striving to keep up with and be relevant to? Why not just 'British Mountaineering Club'? You can keep the logo, save lots of money whilst still representing all members and sounding a little more up to date. The week started well, then the bombshell, then the anger & now the sadness. As a member and volunteer, I will never view my area reps, the officers or ambassadors the same. With my first weekend on the hills walking & climbing after the press release, my thoughts turned to do I now have a transparent & honest National body to represent my views, the answer is NO. Can I extol the virtues to my nieces & nephews, my students & the wider community on this body, NO. The actions taken have broken so many of the mission statements that we all valued & worked hard to achieve & maintain. The organisation quotes it is not engaging enough of the community & yet this act has alienated many of the existing community it should have engaged with before embarking on this debacle. 70 years building trust & harmonizing the community in the values adopted in the mission statements we all looked to. Yet it has taken just 9 months and one press release to destroy much of what we believed in contained in these mission statements. It will take much more than a few area meetings to restore the trust & beliefs for the organisation I once admired & supported. The organisation leadership, our brand ambassadors & the reps involved & supported this shift change should all hold their heads in shame with the pain & distrust they have caused, which is plainly public to see. I hope the people involved do the honorable thing to restore the organisations good standing, peace & harmony here in the UK & Internationally. After this event, I feel that I no longer matter to the organisation in the quest for brand quality, funding & the NEW inclusiveness it seeks by excluding me in the process. I posted this comment on the original thread. It might be more appropriate here. Why hasn't this been shared on your facebook page? Do you not want to spread the word about this to as many members as possible? If I asked you "Do you climb?" down the pub, I think it's fair to suggest we'd both conjure up ideas of some 'face' requiring hands to ascend, probably with verticality, probably with ropes, probably outside but quite possibly also inside. Incidentally, I climbed and bouldered for many years at university solely at indoor walls. To preempt "Well, what about asking 'Do you mountaineer'": To be fair I get that 'mountaineer' isn't necessarily the best verb people would choose to associate with their chosen outdoor activity or indoor ascension sport (some even veritably hate it), but then 'British Mountaineering [Council]' isn't called 'Mountaineer Britain' using the infinitive form of the verb either. I'm disillusioned with this whole affair. I'm surprised the BMC HQ feels a strong need to modernize its image. In terms of what the BMC does, things like BMC TV, the modernized guidebook range, and projects like "this girl can" suggest the BMC is doing a good job. Thanks, and keep up the good work guys. If the name was simply shortened to The Mountaineering Council it would be pithier, more direct, and less old-fashioned. It would also sidestep concerns about Scotland and the other regions. After all, the National Trust is not called the British National Trust and it has a good relationship with the National Trust for Scotland. The word Council seems pretty accurate. The BMC is not a Club and not a Society. This was brought out a few years ago when the concept of Individual Members was heavily discussed. "Council" may sound old fashioned but I can't think of a better word at the moment. Climb Britain feels like a good name for a campaign. For example a campaign to get more people climbing outdoors. It is a fair point that when the BMC interacts with landowners and conservation bodies like the RSPB it should not sound like a banner-waving pressure group trying to push climbing. The BMC needs to be trusted. The name Climb Britain is like a horse for a different course. It's not a bad name but it probably is the wrong name. Sorry to say the new logo looks like it belongs on a 90's petrol filling station. It is an another unfortunate example of following short term graphic design trends. 'Climb Britain' could be a good theme for an ongoing advertising campaign, but is not a brand name. It does not ground the organization or pay tribute to the long esteemed heritage of climbing in Britain and beyond. Consider how other long established brands develop their image, Coca Cola, Shell, Oxfam, Land Rover to name but a few. Personally I find the Alpine and Scandie countries do all this better, but then I prefer reference to a proven track record of excellence not gimmicks or short term strategies. Sounds mad. We do climb abroad and the name BMC is in line with other countries. Also to re brand would be costly? Spend more money on members and skill courses as the are needed. I have tried very hard not to be reactionary to this name change. But it won't work. As a hill walker, fell runner, ski-mountaineer and climber I know very well when I am climbing. It is only in one of those several activities that make up my wider passion of mountaineering. The BMC in its full name as British Mountaineering Council may have a slightly cumbersome name, in part reflecting its troubled birth. However, BMC is inclusive; Climb Britain not. Please think again. As a serious hill & trail walker eg GR20, GR5, HRP and British mountains (apart from lowland walk leading as well) the choice of "Climb" seems to exclude me and many others. BMC was probably wrong as well, but it would have been good to have been asked about possible alternatives. Like many other long term members I will not be able to get to the meetings without a huge amount of travel. As a hill walker and occasional scrambler I spent many years thinking that the BMC was only for climbers and therefore not for me. The organisation has done great work in recent years to convince me that I was wrong! The Climb Britain re-branding strongly gives out the message that this is a climbers-only organisation. I realise this is not the intention but it I think it will be hugely damaging. Please let's just go with British Mountaineering - easy rebrand and does the job nicely! Renaming long established and well known brands is pointless. Using multiple different names for the same organisation is confusing. For instance, once upon a time we had an English Tourist Board..which has since changed its name several times and I have no idea how to find it now. Supermarket product brands to which I was once loyal have vanished as names have changed so that I no longer recognise them. Having Scotland and England both re-naming themselves, but using different names, just makes things even more confusing. Though I love spending time in mountains, I am not a climber, so the new name would exclude me. Area Meetings: who does what? Disappointed to see you backtracking on what is a good move forward. It is a shame to see so much time and energy spent on appeasing a minority. Time for some democracy. A wider debate is a good idea, but it should be one member one vote. This is a too big an issue to be left to 'consultations'. What a waste of time & money to spend 9 months & who knows what cost in fees to consultancy firms to come up with this ridiculous title. a)	Firstly why change the name at all? It currently does what it says on the tin, the name BMC is widely known & respected in Britain, Europe & beyond & describes what the organisation represents. b)	‘Climb Britain’ does not in any way convey what the BMC does – it is exclusive & frankly sounds more like a kindergarten climbing competition than a serious professional body. If you really have to rebrand (which seems unnecessary) then the word ‘mountaineering’ has to be in the title. ‘Mountaineering’ encompasses all mountain activities – walking, skiing, mountain biking, trekking, scrambling, rock-climbing, via ferrata, technical stuff on big peaks etc. ‘climb’ does not. We do all the aforementioned with the exception of the last one & we do not want to belong to an organisation with the inane, undescriptive & exclusive title of ‘Climb Britain’. Rethink this immediately, & next time consult with members first & not as a token afterthought! c)	The proposed area discussions add insult to injury – initially you didn’t consult with members at all, now you offer a pseudo-consultation but state that you won’t change your mind – what kind of process is this?! The suggestion made by other contributors of joining the MC of S instead sounds like a good option, we fear that you will lose a great many members over this issue. A number of sports are trying various ways to maintain and increase market share. This highlights strengths and weaknesses in their governance mechanisms. The interests of members, trustees and professional managers are rarely fully aligned and often members react when they realise they are being side-lined. Management elite has negotiated business style personal incentives for short term growth and can hold trustees who lack the time or courage to assert themselves. to ransom. Its called corporatisation and it leads to the capture of sports by economic interest groups. Sports become businesses, often monopolistic or oligopolies, so it's a higher cost model too - anything with a value becomes chargeable (e.g. training, certification) ) and volunteers are crowded out into the uneconomic jobs so others can charge for them. You can all think of examples. I think there are two things going on here which have been conflated in a manner which is not necessarily sensible. First, whether the BMC seek to reach out and attract untapped membership. With sport climbing growing and about to be in the 2020 Olympics, that seems a very good idea. In that context, "Climb Britain" is as good a campaign title as you are likely to get. I rather like it, in fact. However, the need to do that seems to have led to the second item of a more fundamental rethink and rebranding of the BMC as a whole, and that is where to me the problem lies. To rename and rebrand the BMC as a whole rather misses the wider role of the BMC and that mountaineering is a broad church -- if you'll excuse the potentially inappropriate metaphor. To rebrand for what is at its heart a recruitment and engagement exercise seems unnecessary and slightly foolish. As alluded to, it misses the complete role of the BMC and loses whatever cachet the BMC has as an organisation with heritage when seeking to arrange access arrangements or secure overseas reciprocal rights. More practically, it involves an unnecessary cost, in rebranding, and rather ties one's hands if seeking in the future to reengage with wider mountaineering activities -- an organisation in the future called "climb" might look as if it is overstepping if it wants to do other matters. I think we should seek to support the use of Climb Britain as a campaign under the auspices of the BMC, it can then use the new logo, and advertise, organise events and engage as that, essentially being a brand held by the BMC. Some will still dislike it as too modern. But, some still yearn for tweed and hemp ropes. Such a brand held by the BMC based approach would, however, avoid avowedly selling the pass and offending unnecessarily many members. The comments on this website make clear a considerable opposition to the change, and I just don't see the need to go down the wholesale rebranding route to achieve the objective the BMC has set itself. Yes of course go ahead and call it Climb Britain; surely the logical label for an organisation that spends a disproportionate amount of its effort and publications on the interests of Climbers despite its own surveys of the membership's interests. Dave it was just the narrowing of scope that was the real problem to me. "Mountaineering Britain" "Mountaineering UK" "British Mountaineering" more widely covers the activities of the membership...no matter how they do it. Climb, Hike, Walk, Run, Ride, Roll etc. Well done for listening. Yes we need to look to the new members of the future but lots of ways to do that with the use of the likes of Climb UK as a sub brand around a community of interest. Special interest groups or communities of interest are how many professional bodies keep one strong brand while serving the members with specific needs or interests. Having received my most recent copy of Summit ( received March 2017 ) It is clear that the editorial team are fully behind the change of name and content. For example the suggested 5 routes in the Alps occupy a small section of a page with scant detail, whilst walking when pregnant occupies some three pages. Surely this latter is a subject for a reference as part of BMC guidance notes - not a full length feature. Really sort your priorities! 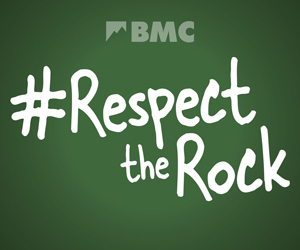 The "M" in BMC is mountaineering and that's why I am a member and the only reason I joined. The Summit mag is ALL about widening membership and very little about Mountaineering. You can argue as much as you wish about names but I'm off to join another association. Perhaps following the recent Summit content it should be renamed the beginners and pregnant walkers society and be made a subsection of the national childbirth trust. The mountaineering content was far too low and the BMC has lost its direction. The clue is in the name it is about " MOUNTAINEERING" it is not about hill walking. If you want to change it to beginners and hill walkers that's fine but the committee should simply resign and start up their own association suitably named NOT misappropriate the long standing BMC. Who said mountaineering was a sport? What has it to do with the sports council? I hadn't realised that when on the mountain that I had been competing all these years!!! As I said I'm off. You can always tell when a system has gone wrong - they try to defend unwise decisions and then support the indefensible.